WASHINGTON - Democratic presidential hopeful Hillary Clinton returned fire Saturday at her Republican rival Jeb Bush's claim that a "premature" US pullout from Iraq fueled the rise of the Islamic State group. 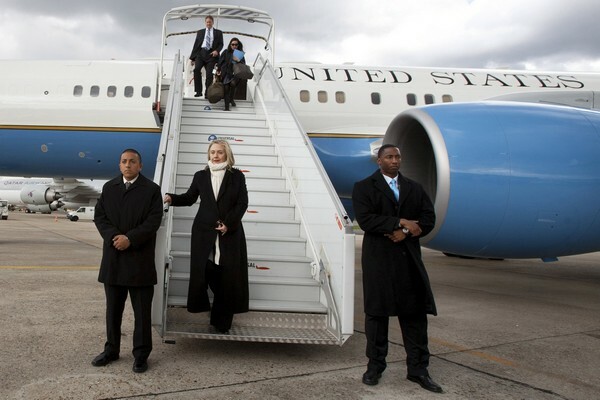 Clinton served as secretary of state under President Barack Obama during the rise of the self-proclaimed Islamic State (IS). 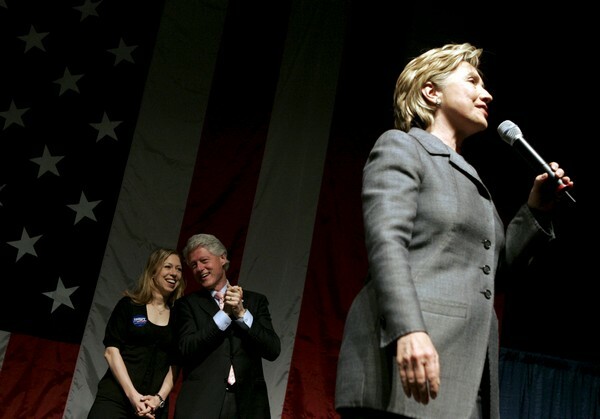 In 2002, while serving as a US senator from New York, Clinton voted in favor of authorizing the invasion of Iraq ordered by Bush's brother and then-president George W. Bush. With the war dragging into a protracted, costly and unpopular conflict, she later called her decision a mistake. "I find it somewhat curious that Jeb Bush is doubling down on defending his brother's actions in Iraq," Clinton said on the campaign trail in Iowa. Hillary Clinton cast herself as a champion for everyday Americans on Sunday, kicking off her long-awaited second run for the White House. 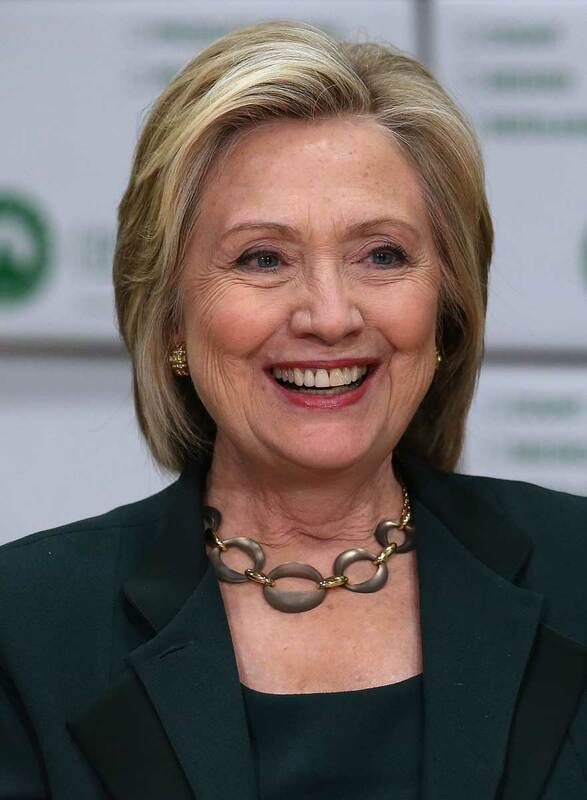 Clinton, who begins the 2016 presidential race as the commanding Democratic front-runner, entered the fray with a flurry of video, email and social media announcements. These indicated she had absorbed some of the lessons of her painful 2008 loss and would not take anything for granted this time. On Sunday, she shifted the attention to voters, declaring on her new website, "Everyday Americans need a champion. I want to be that champion." 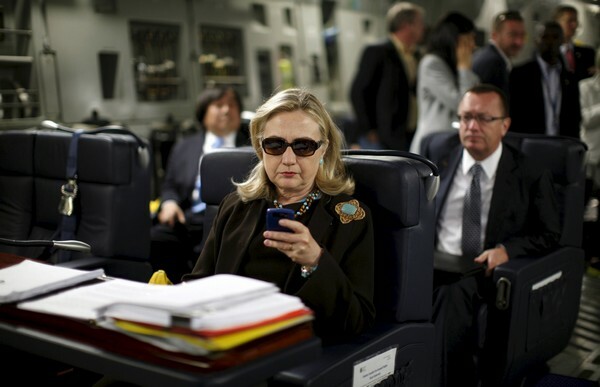 Her roll-out included a sophisticated use of social media, including Twitter, Facebook and YouTube - a contrast to her last campaign. 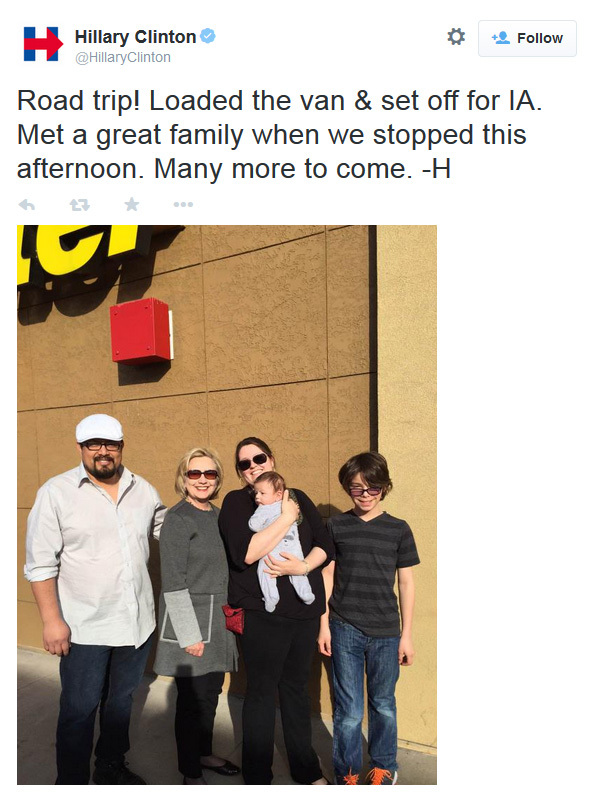 In a tweet on Sunday night, Clinton said: "Road trip! Loaded the van and set off for IA." 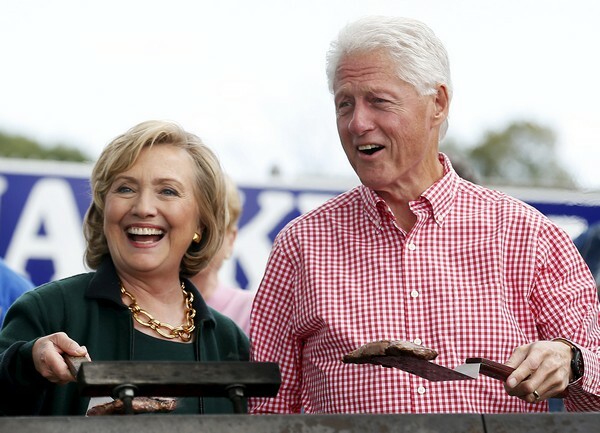 Showing a more down-to-earth side will be a challenge for Clinton, one of the most famous figures in the United States after decades as the wife of former President Bill Clinton, a US senator and secretary of state. Indeed, her launch drew praise from French and German government ministers. 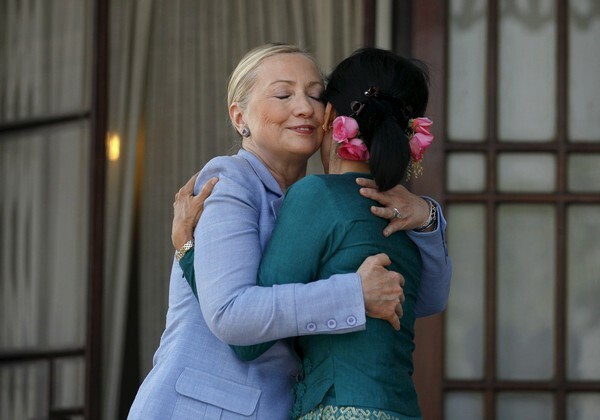 Hillary Clinton hugging Myanmar's pro-democracy leader Aung San Suu Kyi when they met in Yangon in 2011. 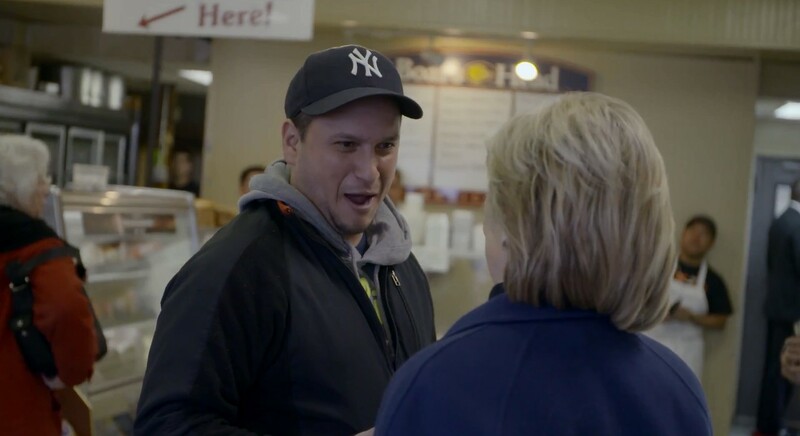 Her video featured a mix of Americans talking about their futures and their economic troubles, along with images of Clinton in listening mode. 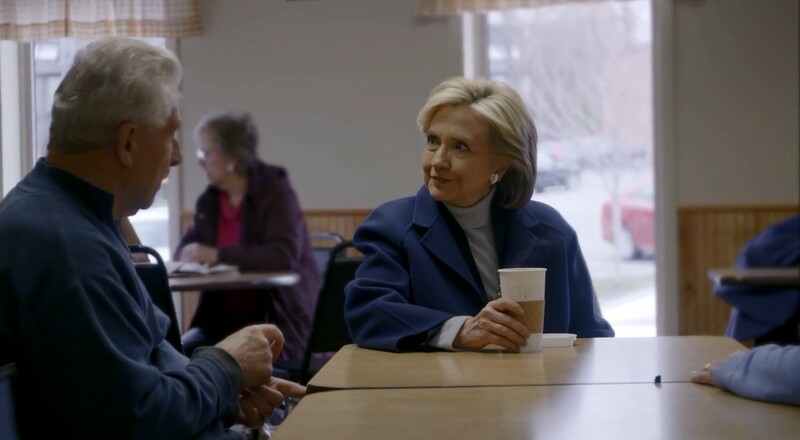 One analyst noted the picture of Clinton on her launch website, holding a paper coffee cup and talking to a gray-haired man and woman, showed her appreciation for one set of voters. Aides have said Clinton's campaign schedule will feature plenty of smaller events where she can listen to voters. 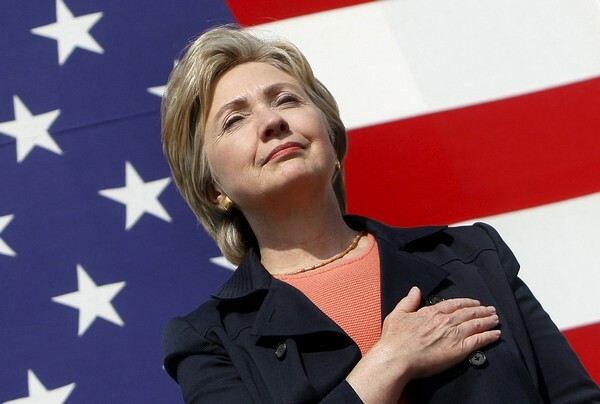 Clinton's campaign will be based around her plans to address economic inequality and will tout the historic nature of her effort to become the first woman US president. 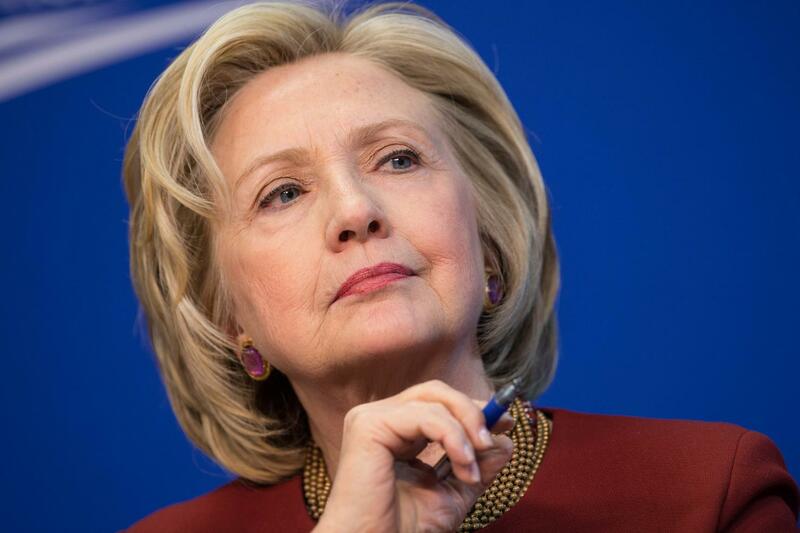 Opinion polls show Clinton has a huge lead over potential Democratic rivals, and few are expected to enter the race. Even before Clinton entered the race, potential Republican opponents took swings at her. Former Florida Governor Jeb Bush criticised her guidance of US foreign policy as secretary of state. "We must do better than the Obama- Clinton foreign policy that has damaged relationships with our allies and emboldened our enemies," Bush said. "If he's going to do that, he needs to present the entire picture," she argued. "And the entire picture as you know, includes the agreement that George W. Bush made with the (Nuri al-) Maliki government in Iraq that set the end of 2011 as the date to withdraw American troops." On Tuesday, Jeb Bush blamed Clinton for allowing the brutal emergence of IS by withdrawing troops from Iraq too fast. "That premature withdrawal was the fatal error, creating the void that (Islamic State) moved in to fill," he told a crowd in California. "Rushing away from danger can be every bit as unwise as rushing into danger, and the costs have been grievous." Taking a political risk, Bush even suggested it might be necessary to send more troops back to Iraq. "Right now, we have around 3,500 soldiers and Marines in Iraq, and more may well be needed." His remarks dredged up a bitter debate that has long bubbled in Washington and that has tarnished his brother's legacy. A wildly successful invasion of Baghdad was followed by a ham-fisted occupation that fueled brutal sectarian violence and left the central government debilitated. 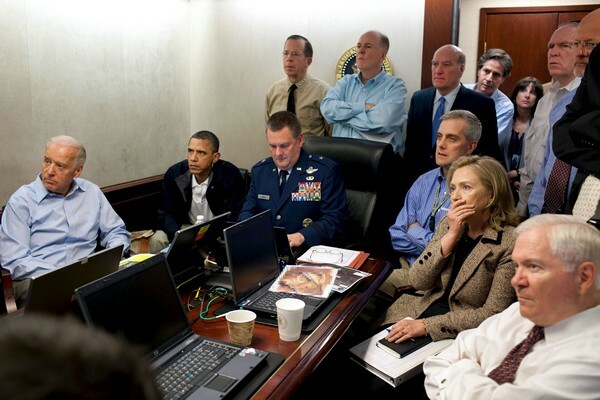 In addition to being a point of contention between Republicans and Democrats, the conflict may have also cost Clinton the 2008 Democratic nomination to anti-war candidate Barack Obama. IS frequently targets Shiites, whom it considers heretics, fanning the flames of sectarian tensions in Iraq, and often strikes crowded areas such as markets and cafes. IS overran large parts of Iraq in June 2014 and also holds significant territory in neighboring Syria. 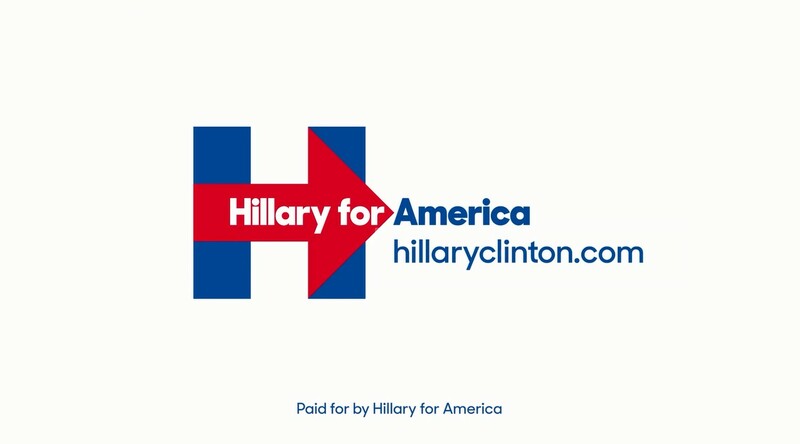 The hookers unveiled a serious four-point endorsement platform. 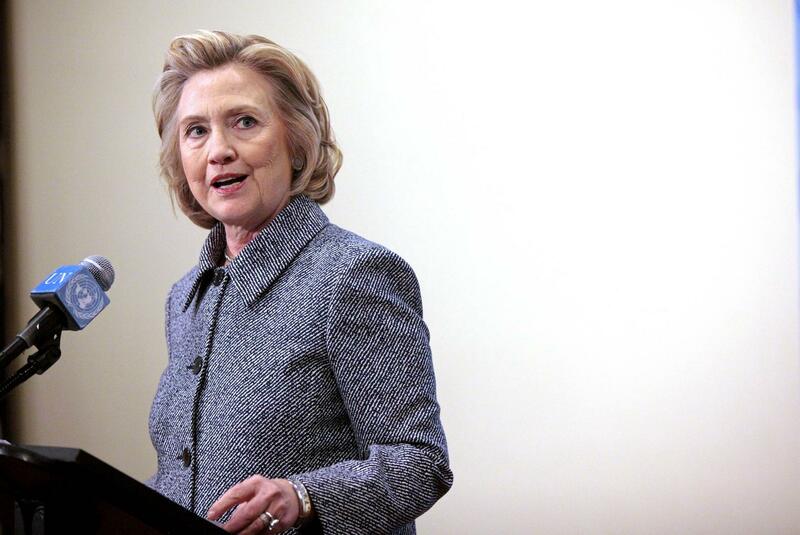 The group supports Clinton because of her work on health care and tax reforms. 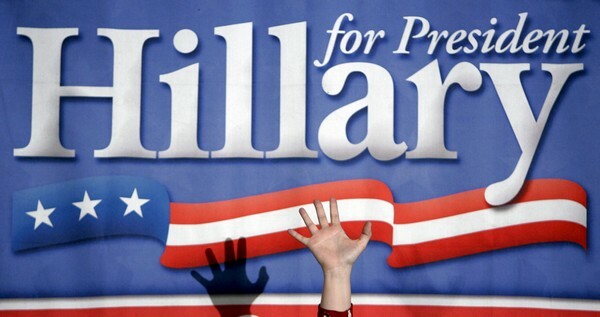 Will Hillary Clinton steer clear of their endorsement? They also cited Clinton's foreign experience and responsible government oversight on public health issues. 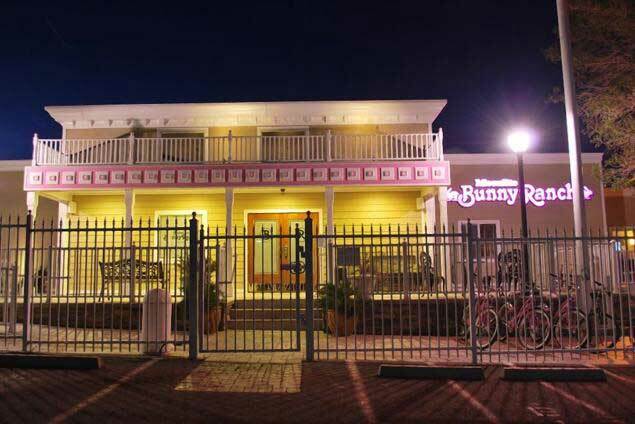 Bunny Ranch's girls said Hillary, as part of her husband’s administration, envisioned health care reform in the 1990s. The bunnies said they want to protect the quality health coverage that they now enjoy. 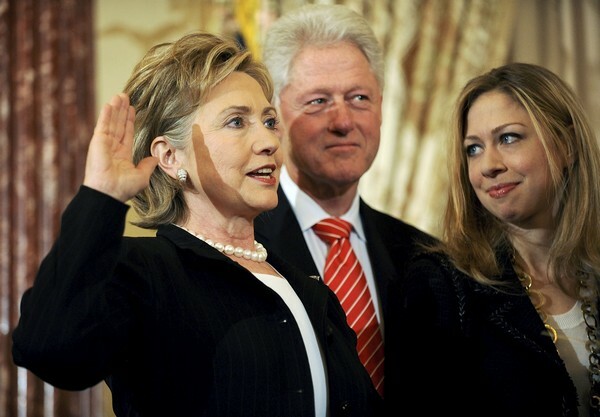 The girls said Hillary's husband, Bill Clinton, presided over the most prosperous time in Bunny Ranch history. Hookers For Hillary website lists Hillary's accomplishments. 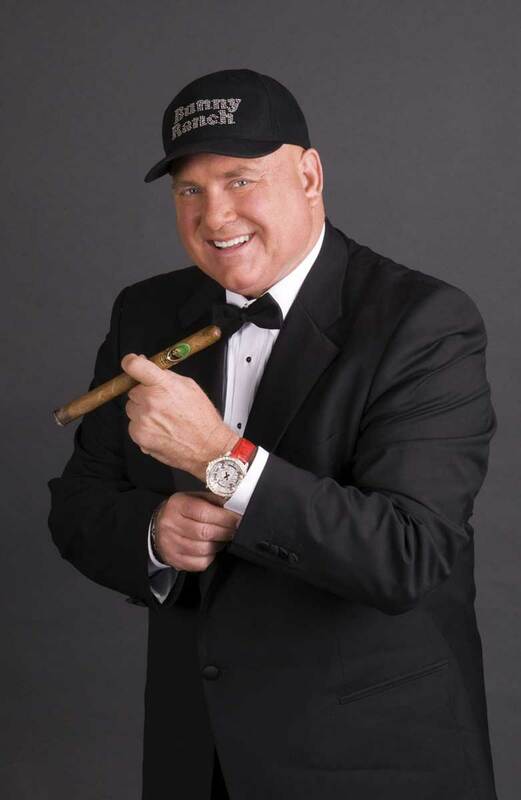 Dennis Hof, the owner of Moonlite Bunn Ranch. 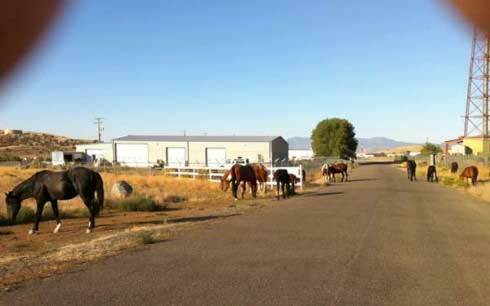 Wild horses at the Bunny Ranch. The campaign is accompanied by a 'breaking news' video with a blonde presenter. Bunny Ranch girls were featured in HBO's Cathouse series.